Isn’t it funny how we all remember things differently? I can’t tell you how many times a group of us has reminisced, only to find out we don’t all quite share the same details about how it all went down. Sure, the major facts usually validate themselves – locations, people, and events – but more often than not, our personal recollections differ in some way or another. BIG or small. Sometimes photos help spark memories – obvious things like the clothes and the expressions we wore. Yet, still a huge piece of the puzzle remains missing. We cannot hear the words that were spoken. Even if a video recorded some conversations here and there, it still could not accurately display what happened in its entirety. That footage would exist as just another piece. So, in the end, we must rely on each other to knit together the memories of what we each experienced. Like the panorama feature on a camera, we each lay out our portion, detail by (sometimes, excessive) detail. Placed together, they form a more accurate depiction of reality. The more people that contribute by sharing their personal memories, the more precise and less pixelated the image becomes. Until, finally, it exists again. In high definition surround sound, the scene has been reset. At the very least, we are able to more accurately laugh, cry and reminisce over this old, but new reality. 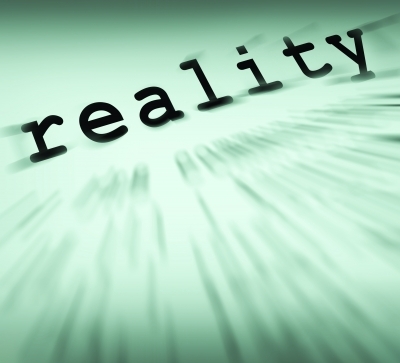 Reality, whether we like it or not, was created by the combination of our skewed perceptions. I love receiving the below. You are very inspirational. Thanks, Kristen – I appreciate your comment! Sooo very true, perception is one weird dude! !